It's now clear that if a Republican wins the governor's mansion, Florida will become one of the most anti-choice states in the United States. 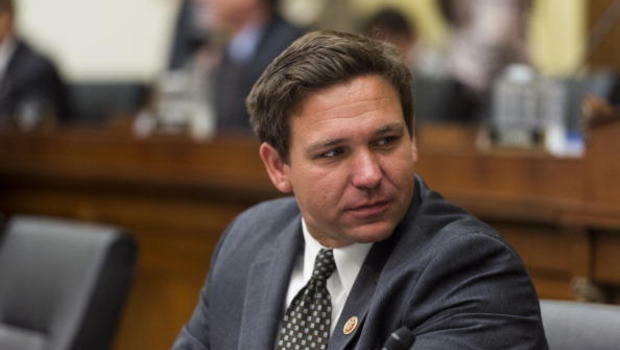 Less than forty-eight hours after Adam Putnam announced that he would sign a heartbeat bill, Ron DeSantis (through a spokesman) today said that he too supports legislation that would effectively outlaw a woman's right to choose. Similar legislation in other states has been struck down by the Supreme Court as recently as 2016. If signed into law by a Republican governor, a heartbeat bill would likely result in millions of dollars in legal fees paid for by Florida taxpayers. "Ron DeSantis and Adam Putnam have made clear that their top priority as governor will be to launch an unconstitutional attack on women's health. This is a stunt that will be struck down in court and result in millions of taxpayers dollars being spent on a pointless political crusade. Both DeSantis and Putnam are anti-choice extremists who are willing to attack women's health freedom simply to score a few political points in a Republican primary. Both Republican candidates are advancing an unconstitutional, far-right agenda that might please GOP primary voters but will be strongly rejected by Floridians in November," said Florida Democratic Party spokesperson Kevin Donohoe. As the Tampa Bay Times reported today, a heartbeat bill has been called "one of the most restrictive abortion bills in the country" and a direct challenge to the U.S. Supreme court ruling in Roe v. Wade. The fact that the candidates adamantly support this legislation shows just how far to the right the primary has moved. Neither candidate has yet outlined clear policy proposals to be enacted if they were elected governor and the fact that they have endorsed a heartbeat bill so early is the clearest sign yet of how central undermining women's health freedom is to both GOP candidates.